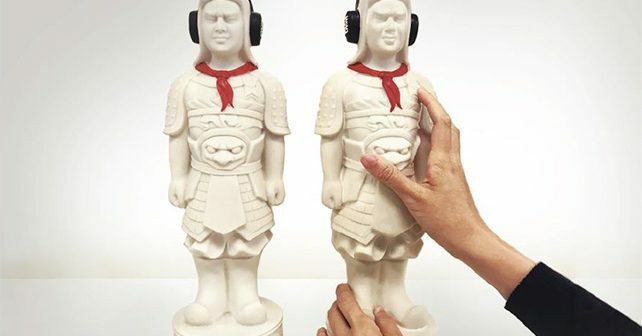 Singapore Art Museum introduced the SAM Touch Collection today, one of several educational and outreach initiatives by SAM to extend the contemporary art experience to audiences of all backgrounds and abilities. 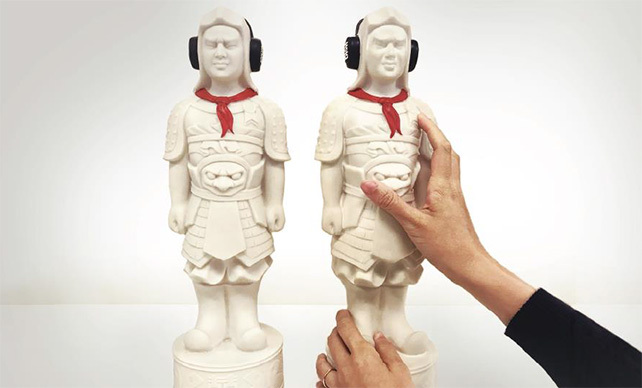 A portable and interactive collection of artwork adaptations, the SAM Touch Collection is specifically developed to travel and engage with the visually-impaired community. The works in the SAM Touch Collection are based on artworks by Singaporean artists in the museum’s collection, especially those which relate to historical, cultural and social aspects of Singapore. It currently includes adaptations by David Chan of his SAM Front Lawn commission in 2015, titled Utama’s Cat; Justin Lee of his artwork titled East & West, presented at the Singapore Art Show at SAM in 2009; and Zulkifle Mahmod of his artwork titled Raising Spirits and Restoring Souls, commissioned for SAM’s 5 Stars exhibition in 2015. To cater to the needs of the visually-impaired community, the artwork adaptations are accompanied by supplementary resources and materials, such as audio guides and reproductions of finer artwork details to enhance interaction and understanding. The development of the SAM Touch Collection began with research that started in 2014. It included focus group discussions and consultations with international institutions, visually impaired persons, artists and professionals. With more artwork adaptations in the pipeline by other Singaporean artists, it is a growing collection that will continue to be shaped through feedback and research sessions with communities and schools. The SAM Touch Collection may later be made available for other community groups, such as the elderly and those with special needs, after more research has been carried out. The museum has been working on making contemporary art accessible to audiences with special needs by providing opportunities for more inclusive interactions. In 2017, SAM started the “Quiet Hour at SAM” programme, an initiative that provides free transportation to and from the museum for closed-door access to SAM’s exhibitions, as well as tailored tours and workshops for special needs visitors. In the same year, SAM established a Quiet Room at the museum, ensuring children or visitors with special needs have a calming space to retreat to, should they become over-stimulated by external environments or interactions.